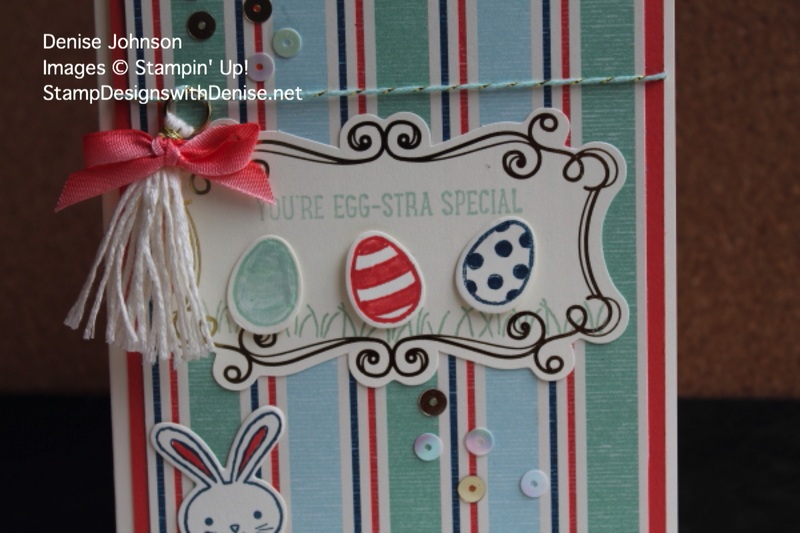 Easter is in mid April this year, so it is time to start making cards for this occasion. 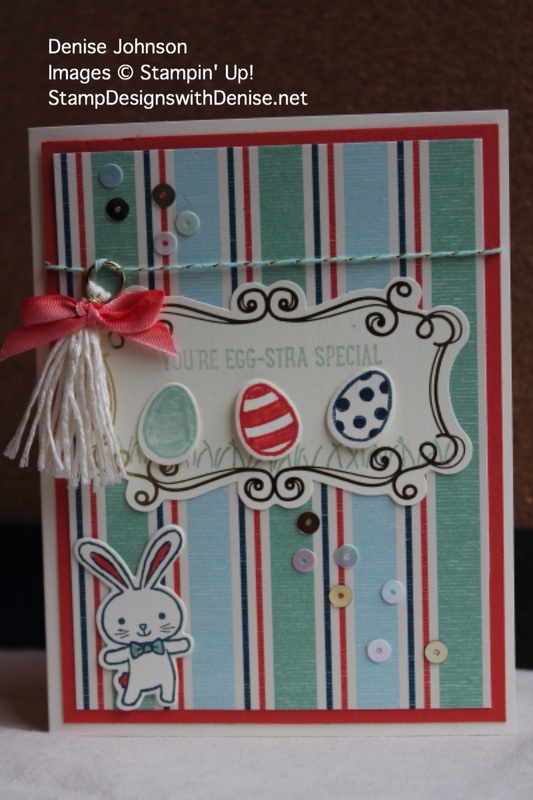 This card uses many items from the Cupcakes & Carousel Embellishments kit, plus stamps and framelits from the Basket Bunch Bundle. The Label, sequins, baker’s twine, tassel and ribbon all come from the Cupcakes & Carousel Embellishment kit. The eggs and bunny are colored in with markers.